It’s a common fact that Las Vegas is a veritable hub of activities and entertainment, with something to offer for everyone. Well known is the incredible nightlife scene and array of casinos to be found in the city. Lesser known is the exciting and sprawling nature of their new multifaceted sports scene- you don’t need to be a longtime fan to find something for you. Whether it be brawling to basketball, pucks or pigskins, Las Vegas has thrilling sports entertainment for any niche. It would be impossible to talk about Las Vegas sports without first mentioning the most exciting development to come in 2017, or any recent years for the city- the Las Vegas Golden Knights have arrived and begun their stay in the NHL! It has been a long time coming, and their arrival finally brings a national team for Las Vegas, securing the city as far more than a tourist attraction. The team consists of many former players drafted from different teams, brought together in Vegas’ historic entry into Major league professional sports. Most recently, the team’s presence has been a rallying point for the city of Las Vegas amidst the turmoil surrounding the mass shooting in early October of this year. Despite being the newest team in the Western conference, the Knights are thus far flaunting a fantastic 12-6 record in their first year on the rink- even more remarkable when one thinks about the flimsy-at-best records that are typical of expansion teams in NHL history. Not only did they win 7 of their first 8 games, but they additionally successfully beat 3 playoff teams from last season. Most recently, they secured a win against the Los Angeles Kings, setting the stage for a fiery future rivalry. They’ll be hosting the San Jose Sharks in their home T-Mobile arena this Friday, November 24th– grab a ticket and check out the newest team currently securing their place in NHL history. With their performances so far, rooting for the rookie has never been easier! Hockey not your thing? No worries, the Ultimate Fighting Championship has plenty of upcoming events for those that prefer fight nights to ice rinks. This year on December 1st, the Park Theater will be hosting The Ultimate Fighter 26. The fight to look forward to, capping off this year’s championship, will be Eddie Alvarez and Justin Gaethje. Both former Lightweight champs, the two are set to square off after a long season of rivalry. Additionally, the UFC Women’s Flyweight Champion will be crowned- Lauren Murphy vs. Priscila Cachoeira among the contenders for the title, with this season placing Murphy in a contentious position on Team Alvarez. Even if you’re new to UFC fighting, the heightened drama and exhilarating fights promised at the upcoming championship makes for an evening of guaranteed entertainment. The buck doesn’t stop there- Las Vegas is also a hotspot for basketball. Despite not having an NBA team to boast of, Las Vegas is still the top destination for fans of the sport come summer of 2018. In the upcoming year, the Las Vegas Summer League will officially showcase all 30 teams in the upcoming year on the heels of the Orlando Pro Summer League closing up shop. If next summer seems too long to wait, never fear- the Las Vegas Classic is quickly approaching in mid-December. The tournament features various college teams competing firstly in their home arenas on on-campus sites, then traveling to Vegas’s own Orleans Arena to wrap up. You’d be hard-pressed to trawl any sports scene without checking out the local football team. When it comes to Las Vegas, however, local is a relatively new term for the football team to see. The Oakland Raiders are soon to join the Golden Knights in Vegas, as they have officially gone public with their departure from the Bay Area. A project in the making since 2016, colored by funding issues and difficulties in location approval, has finally acquired all the means to make the move happen. It will still be a few years yet until the move is finalized, as ground was just broken for the new Las Vegas Stadium on November 13th. The project is expected to be finalized before the 2020 NFL football season, and until then they’ll remain in the Bay. It’ll all be worth it though- not only will Vegas have a football team and a brand-new stadium, but word is that the stadium could even bring in another new sport. According to David Beckham, opportunity is ripe for soccer to make its first major appearance! 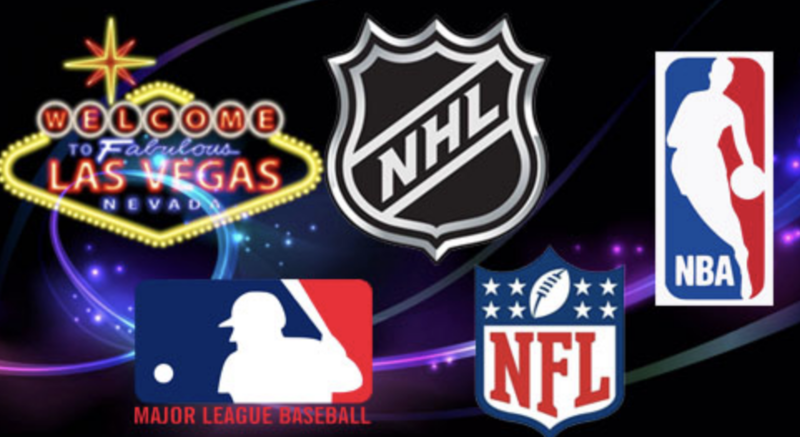 Overall, in the last year alone Las Vegas has made a dramatic entry into the world of major league sports, becoming the center of many major stories and competitions. UFC Championships and NBA showcases remaining in the city provide steady entertainment, while new developments such as the Raiders imminent presence combined with the Golden Knights grand entrance solidifies the cities clout. All of this adds up to one conclusion- old fans and new faces alike should check out Las Vegas for all the newest additions and biggest competitions in sports entertainment!